Ellis is being charged with two counts of manslaughter by motor vehicle and two counts of homicide by motor vehicle while under the influence of alcohol for the crash that killed Alex Murk and Calvin Li. Ellis is also facing one count for causing a life-threatening injury while under the influence of alcohol. That charge is for injuries to Cameron Siasi, the front seat passenger, who survived. The family of Alex Murk released a statement Monday in response to the charges arising out of the death of their son. 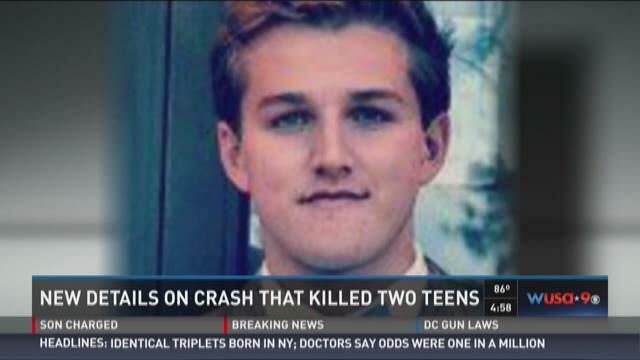 Recently WUSA9 learned that a parent was present at the alcohol-fueled party in North Potomac that led to a fatal car crash, according to documents obtained. The documents also show that the car carrying Alex Murk, Calvin Li, Sam Ellis and Cameron Siasi was also traveling at least more than 30 miles above the speed limit before the crash. The documents show that Ellis was driving at a minimum speed of 65 miles per hour in a 35 mile per hour zone. In an interview with investigators, Siasi said he saw the speedometer at 105 miles per hour and said "Sam’s eyes widened" and "Calvin let out a faint scream." Police had previously said Murk and Li were not wearing seat belts. Both of the front-seat passengers were wearing seat belts. The party was held at the home of Kenneth Saltzman, whose daughter was the host. Documents reveal that one party goer brought two 30-packs of beer and Salzman jokingly asked if one of those cases was for him. All of the alcohol for the party was bought at a liquor store in Rockville, sources say. Some of that alcohol was purchased by a teenage boy with what sources describe as "a very good fake ID." The rest of the alcohol was bought by a 21-year-old sibling of one of the party goers. 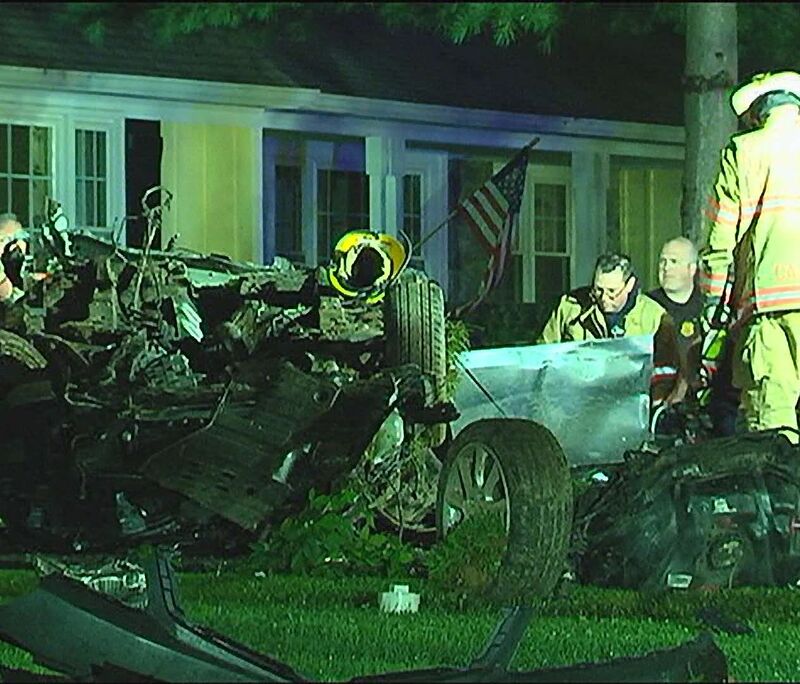 Documents show Ellis’ blood alcohol level was a .09 at a hospital two hours after the crash. Later, using a state police kit, it was a .07. For adults, the legal limit of intoxication is .08. According to the documents, Ellis also tested positive for marijuana and benzodiazepines, which is found in medications like Xanax. If convicted, Ellis faces 23 years in prison. Saltzman faces a $2,500 fine for each of the two citations. The court date for Kenneth Saltzman is set for December 10th. No dates have been provided for Sam Ellis.